While American audiences have to wait until after the holiday video game bum rush to play Kingdom Hearts HD 2.5 REmix in December, Japanese fans need only wait a month until the HD bundle gets released. Oct. 3 is the set release date, and this recently released "Final Trailer" now makes a lot more sense. Kingdom Hearts HD 2.5 REmix comprises of two major HD remakes of Kingdom Hearts II and Kingdom Hearts: Birth by Sleep, and it also touches up the cinematic cutscenes of Kingdom Hearts: Re:coded for a full narrative experience. Is it just me, or does Mickey still sound hilarious speaking Japanese after all these years? Listen him chat at the five second mark for a quick giggle. It's like I'm watching the first Kingdom Hearts trailer in Japanese for the first time all over again. When was that, thirteen years ago? Be sure to take it all in also, because while this might not be "Final" trailer for Kingdom Hearts fans in America, it is the last one in Japanese. You might not get to hear Mickey's Japanese until the hype starts for Kingdom Hearts III, and that could be quite a way off. 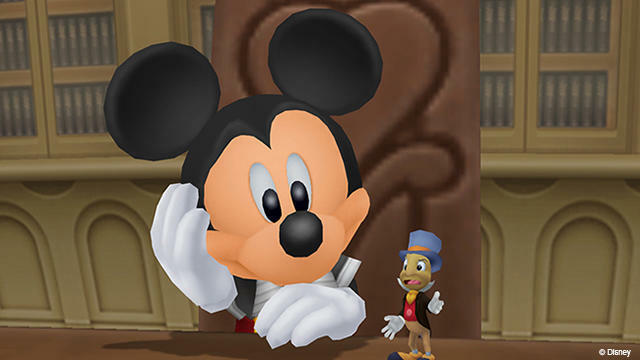 Kingdom Hearts HD 2.5 REmix launches for the PlayStation 3 on Dec. 2.